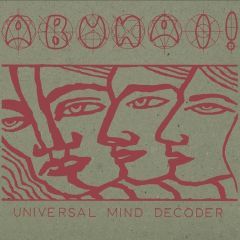 Their debut album 'Universal Mind Decoder' was released in 1997 consisting of ten early psychedelia coloured songs. ABUNAI! 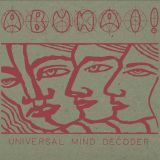 is a multifaceted band blending progressive psych, space and folk rock elements with the result of mellow melodic songs as well as experimentally tinged improvisations. Double album 500 copies, 250 copies blue and 250 copies red vinyl. Signed to the indie labelCamera Oscura, the quartet issued a pair of albums during the latter part of the decade -- 1997's Universal Mind Decoder and 1999's Mystic River Sound -- which resulted in coverage in such renowned publications as Magnet, Rolling Stone, and Alternative Press, plus airplay on the BBC's John Peel show. For their third release, 2000's Round Wound, Abunai! condensed several years' worth of improv jams at their rehearsal studio into a single disc's worth of tunes. VESPERO - Subkraut/U-Boats willkommen hier! DOUBLE LP, LIMITED EDITION,COLOURED VINYL,GATEFOLD COVER. Repress, limited edition LP, 300 copies,in 180 g blue vinyl. Stunning Heavy psyched-out Stoner Rock ! This Product was added to our catalogue on Tuesday 24 September, 2013.